The Aston Martin from Goldfinger makes a re-appearance, as James Bond and M race off to Scotland. As we learn that the Commander was orphan to some pretty wealthy aristocrats, who had a hunting ‘mansion’ in the Highlands. This may not be a classic James Bond tale in the Ian Fleming style, but it is a beautifully crafted cinematic experience that would undoubtedly have won more Academy Awards were it not for the James Bond tag, which nominators and voters have clearly raised their noses at throughout its fifty years. And while many suggest the movie is light on gadgets, it is actually crammed full of devices. Not in the traditional sense, but by inference via cinematography and story-telling and not just a few home-made weapons. And yes, James really does take M back in time - the movie climax may be considered a bit ‘Home Alone’, but Bond really does get to play Macaulay Culkin’s Kevin McCallister. He gets to play a young James Bond, in his childhood holiday home. 1) James’s father’s (Initials: A.B.) old hunting rifle. 2) A couple of sticks of dynamite from the quarry. 4) A hiding place – A priest’s hole. From the reformation times in fact. With a tunnel that leads to the moors. 5) Light bulb filaments inserted into shotgun cartridges, in little baggies of nuts and bolts. 6) Strategically placed cartridges, beneath floorboards. 7) A similarly, strategically placed mirror. 8) A couple of old gas bottles and a match. 10) And don’t forget the car... The first men downed in the climactic battle are via the headlight lamps of the Aston. As 007 drives to Skyfall he makes a quick stop on the A82 near the stunning Highlands peaks of Buachaille Etive Mor and Buachaille Etive Beag. The afore-mentioned Awards omissions include legendary cinematographer Roger Deakins (his 10th unsuccessful Oscar nomination), whose truly stunning atmospheric scenery shots steal the film. 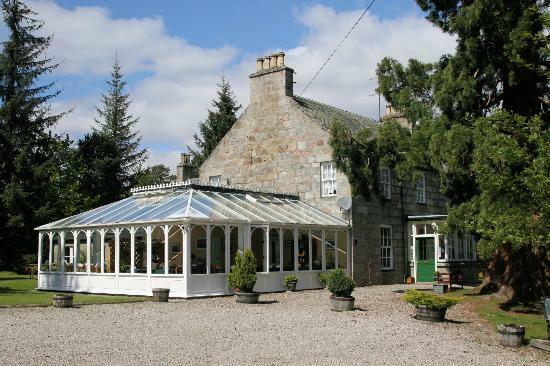 These are Tripadvisor's four top rated Scottish Highlands Hotels. The website below compares the Hotel comparison sites best prices to provide the very best prices, if that makes sense. 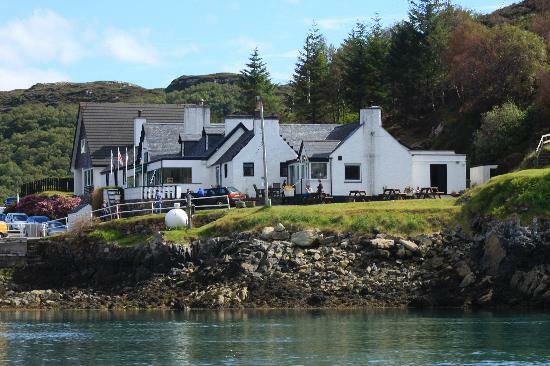 Could House Hotel, from £85 per night.